Disability insurance companies have all the power. Until a lawsuit pursued by a tenacious lawyer evens the playing field. Have you ever been unfairly denied disability benefits? Vanessa Godwin was, when applying for long term disability (“LTD”) benefits. The Claims Specialist wasn’t satisfied with information and medical opinions contained within the LTD application. More was required. And then more. And then more. Ms. Godwin was lucky. Her medical doctor, therapist and psychiatrist were exceptionally generous with how responsive they were to the various hurdles facing their patient. Doctors and therapists do not get into their care giving fields for the purpose of writing letters to support disability applications. Doing so takes them away from their busy practices, treating patients. And they don’t charge near what their time is worth for that extra effort. It took a series of denials and appeals before Ms. Godwin’s initial claim for benefits was finally allowed. 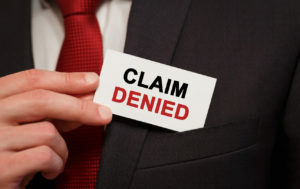 In the later court decision, it was determined that deficiencies in the way the “claims specialist” handled the claim resulted in a 10 month delay. Ms. Godwin faced another set of hurdles after 24 months. The initial claim for long term disability benefits required establishing her inability to perform her own occupation. To recover benefits beyond 24 months, she had to establish her inability to perform any occupation. Unsatisfied with the opinions of Ms. Godwin’s doctors and therapist, the Claims Specialist required her to attend a psychiatric medical examination with a psychiatrist hired by the insurance company for that purpose, Dr. Alex Levin. Dr. Levin, by the way, is a psychiatrist often retained by ICBC in defence of motor vehicle crash claims. In the later court case, counsel for Ms. Godwin provided a list of court decisions “…that found reports written by Dr. Levin to have strayed into advocacy or to have lacked objectivity, or that otherwise found his conclusions unsustainable”. The opinions of Dr. Levin contradicted the opinions of Ms. Godwin’s doctors and therapist, and were used to deny the claim. Dr. Levin had assessed Ms. Godwin’s symptoms as not being disabling. That was in the context of Ms. Godwin specifically complaining about the way Dr. Levin conducted his assessment of her, continually interrupting her from having the opportunity to describe her symptoms. After exhausting her appeals with the insurance company, Ms. Godwin’s only recourse was to hire a lawyer to pursue a lawsuit against them. On the eve of trial, the insurance company finally reinstated Ms. Godwin’s benefits in full. But that wasn’t the end of the story. The trial proceeded. Not to enforce payment of the disability benefits. The insurance company had folded on that point four days before the trial started. The trial was to hold them to account for how they had treated Ms. Godwin in their handling of her claim. I invite you to read the court decision: Godwin v. Desjardins Financial Security Investments Inc., 2018 BCSC 99. Warning: reading about the way Desjardins treated Ms. Godwin might dig up and aggravate psychological scars from your own experience if you have been given the run-around by an insurance company. But the court’s rebuke of their claims handling might provide a level of cathartic healing. A further $30,000.00, awarded because aspects of the handling of her claim “…were so exceptional as to require denunciation in the form of a punitive damages award”. It is yet to be seen what Desjardins will have to pay, in addition to those amounts, in “costs”. Mr. Justice Saunders provided a time line for each party to provide their submissions on that point, specifically asking that their submissions address the decision of Mr. Justice Neill Brown in Tanious v. The Empire Life Insurance Company, 2017 BCSC 85, where the extraordinary award of costs was made “…for full indemnification in order to put the plaintiff in the position she would have been in had she not been forced to retain counsel and enforce the contract through litigation”. I cannot say enough about the incredible grit and advocacy shown by the lawyer who pursued this case through a 12 day trial to hold the insurance company to account after the underlying disability benefits case had already been won. Faith Hayman, I salute you. Without lawyers like Faith Hayman and a justice system that can give you your “day in court” against the unfairness of a massive insurance company, injustice can run unchecked.